This lovely merganser family was enjoying a cruise down the river on a beautiful day. 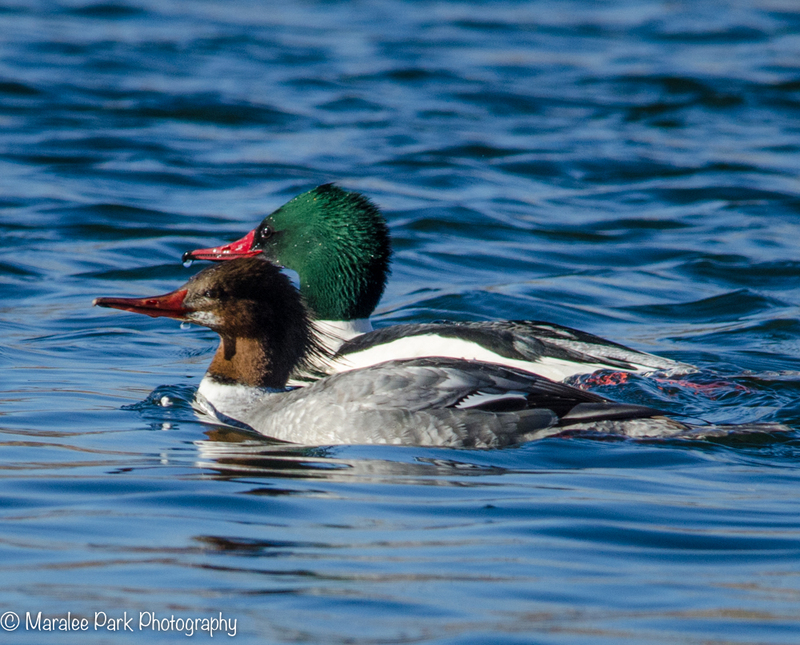 Gorgeous, both the Mergansers and the water around them! Thanks, Donna. It was one of those gorgeous spring days. We bypassed winter over here. Very good pictures of one of my favourite birds. Thank you. They are very pretty birds. It was nice to see the family on an outing together.